Taoiseach Leo Varadkar has said he believes the British prime minister wants a Brexit deal on the Irish border and is now acting in good faith. 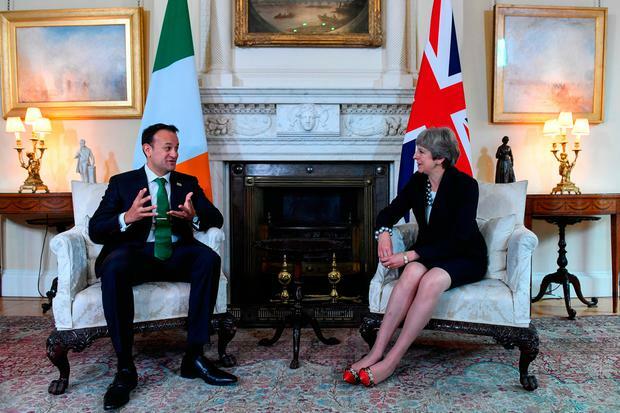 Mr Varadkar said he understood Theresa May had difficult issues to manage, with different views inside her own party and a confidence-and-supply arrangement with Arlene Foster’s Democratic Unionist Party. The Taoiseach told the Dáil he will speaking to the prime minister in the coming days but contacts in meantime will continue at EU level. “It is the role of the United Kingdom to come back to us,’’ Mr Varadkar added. The Taoiseach stressed that Ireland wants a deal at next week’s EU leaders’ summit so things can advance to dealing with EU-UK trade relations after Brexit happens. But he warned that if this was not possible it may have to wait until the new year. Mr Varadkar also said he thought it appropriate that all parties, north and south, should see the text of any agreement on a Brexit Border at the same time. “I think we should listen to all parties in Northern Ireland and not accept this idea, that seems to be getting prevalence in some parts of London, and maybe other places as well, that there is only one party in Northern Ireland speaking for everyone,’’ he said. Meanwhile British Prime Minister Theresa May told the House of Commons she had made good progress in Brexit negotiations and that she expected to get a deal that was right for the whole of the United Kingdom. "We're leaving the European Union, we're leaving the single market and the customs union but we will do what is right in the interests of the whole United Kingdom," Mrs May said, adding: "And nothing is agreed until everything is agreed." On a deal to prevent a hard border on the island of Ireland, May said: "We will ensure there is no hard border." "We will do that while we respect the constitutional integrity of the United Kingdom and while we respect the internal market and protect the internal market of the United Kingdom," the PM said. Her statement was met with shouts of “how?” from the Labour benches, to which she replied: “That's the whole point of the second phase of the negotiations. Because we will deliver this, we aim to deliver as part of our overall trade deal between the United Kingdom and the European Union and we can only talk about that when we get into phase two."